Personalised Father's Day Hanging Plaque Sign. Wooden Special Gift - Engraved with own text and names. For Dad, Grampy, Pops, Grandad gift. Personalised Father's Day Hanging Plaque Sign. 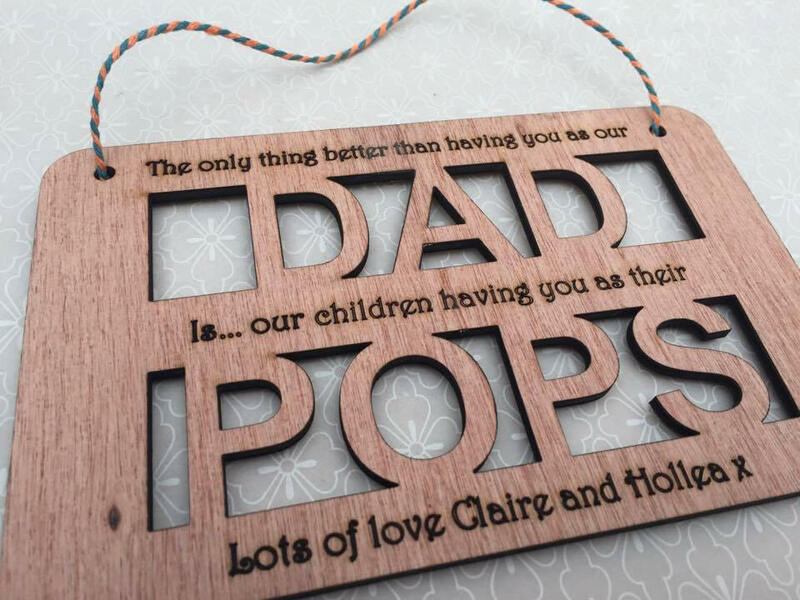 Wooden Special Gift - Engraved with own text and names.For dad, father, grampy, grandad,pops. ✦ Please leave full instruction as to what text cut out, and text engraved.